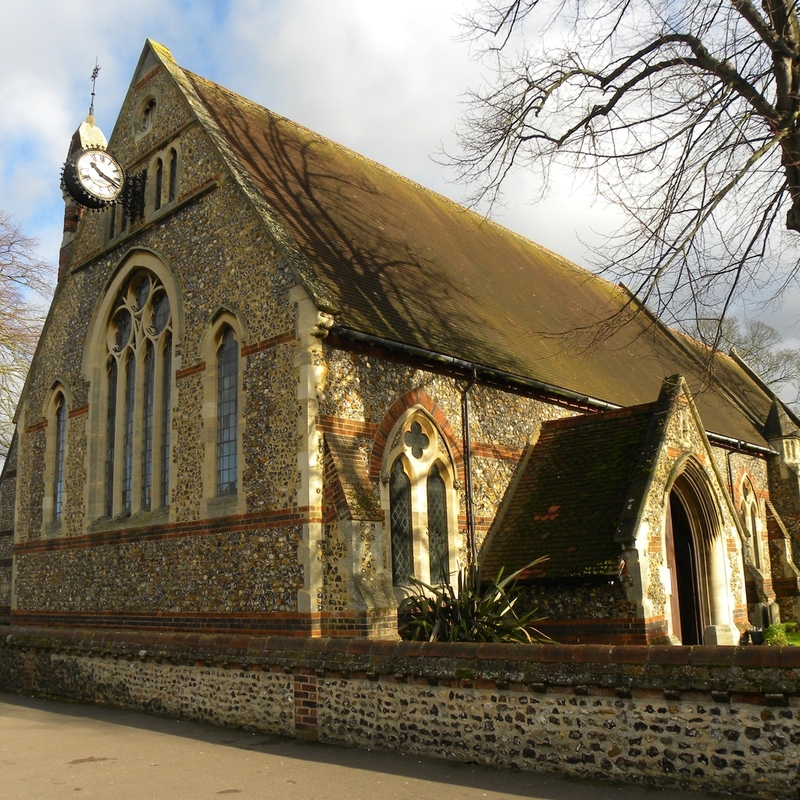 Now a parish church in its own right, Holy Trinity was built in 1861 as a chapel-of-ease for St Nicholas, which was then the Parish Church of Stevenage. 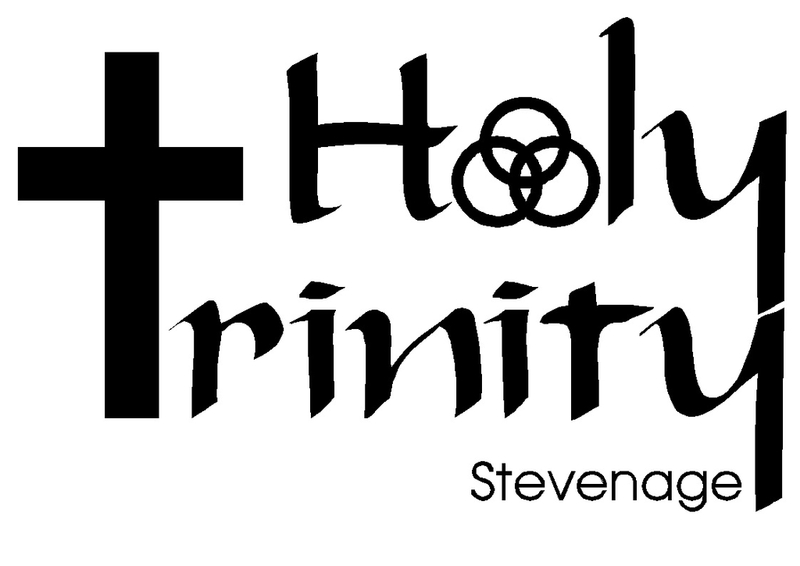 The Rector, Canon George Blomfield, prevailed upon his brother, who was Bishop of London and lord of the manor of Stevenage, to give a piece of land for the site of the new church. The Bishop generously made available a pond on the manorial waste ground and local farmers filled it in with cartloads of rubble. The architect was A.W. Blomfield, the Rector's nephew, who went on to achieve eminence in his profession. In 1881 Holy Trinity was more than doubled in size when a large extension was built on to the south wall. The original (1861) part of the church has now been converted into a parish room, with kitchen and toilets, a vestry and an upper meetings room. The stained glass window in the chancel, depicting the ascension of Jesus, was given in memory of Dr Andrew Whyte Barclay of Whitney Wood, who died in 1884. The clock was paid for by public subscription in memory of Canon Blomfield. In the 1970's the original organ was replaced by one from the redundant church at Woodhill, near Hatfield, and relocated at the west end of Holy Trinity, thus allowing space to build the upper meetings room. The aumbry door was carved by the late Bert Weaver, who also made the magnificent Christmas stable, complete with crib, animals, shepherds and wise men. Many other items, such as the lectern Bible, altar silver, embroidered kneelers and the side gate, have been given in memory of past parishioners. There are three memorial tablets, a Book of Remembrance and a complete list of the men of Stevenage who died in the two World Wars. In 2006 a significant refurbishment took place including the installation of an accessible toilet, an enlarged kitchen and a new heating system. The slimeline boilers have enabled the boiler room to once again become the Vicar's vestry.